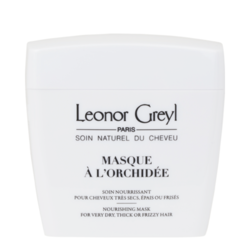 A delicate oil with a light texture that's designed to spritz onto the hair and/or body after the shower. An organic beauty oil for hair and skin. With its delicate perfume of lemon grass, tiare and yucca, the composition of natural vegetable oils makes this multi-purpose product a source of beauty for hair and body. Includes UVA/B sun protection. 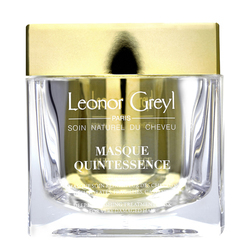 Convenient to use, it protects and restores skin quality, beautifies and strengthens the hair all year. 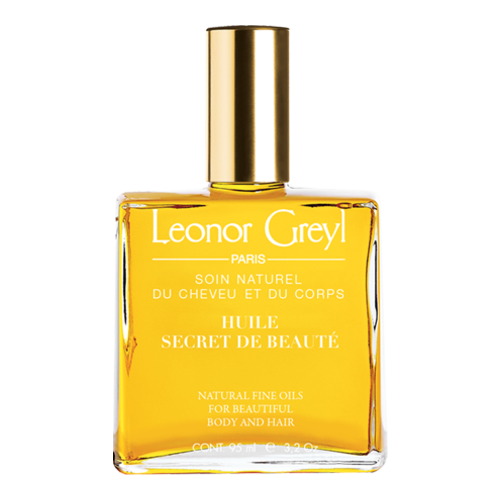 Quickly absorbed, Huile Secret de Beaute leaves the hair silky and shiny, the skin soft and delicate. Coconut alkanes, coco, caprlate/caprate, prunus armeniaca seed oil extract, sesamum indicum seed oil, helianthus annus (sunflower) seed oil, calodendrum capense oil, schinziohpyton rauteneni kernel oil, mimosa tenuflora bark extract, argania spinosa, punica granatum seed oil, parfum/fragrance, maurita vinifera fruit oil, brassica campestris/aleurites fordi, ppg-3 benzyl ether myristate, tocopherol d-limonene, eugenol, colimarin butylphenyl, methylpropional benzyl saucylate. 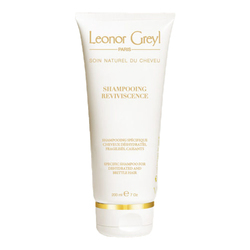 • For Hair: Apply to dry hair, leave on 5-10 minutes and then shampoo out with your favorite Leonor Greyl shampoo. 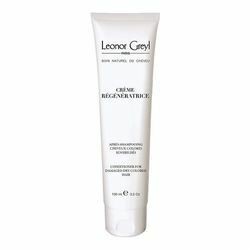 Or use as a styling product by applying to length and ends on dry or damp hair. • For Body: Massage this natural beauty oil into dry skin for immediate hydration and to enhance a tan.